Seen here on the wrist of the President of Chopard USA, is the Grand Prix Monaco Historique Chrono. 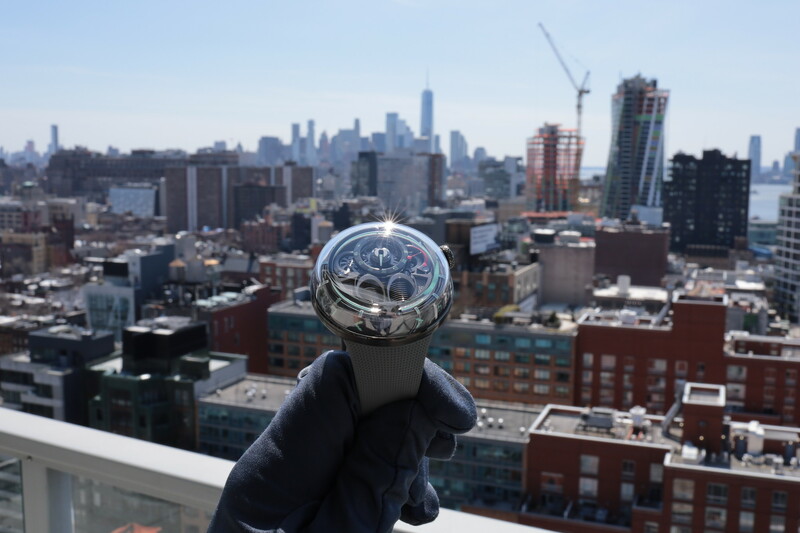 The watch features a 44.50 mm x 14.10 mm case, constructed out of titanium for the case middle, pushers, and crown. With a stainless steel bezel and caseback. This timepiece was introduced in 2014 and pays homage to Chopard’s status as the official timekeeper on the Grand Prix de Monaco Historique, dating back to 2002. Said to be inspired by the classic single-seaters sports cars from the 1970s, the Grand Prix Monaco Historique Chrono has a snailed gray dial and a yellow flange with graduations for the chronograph. 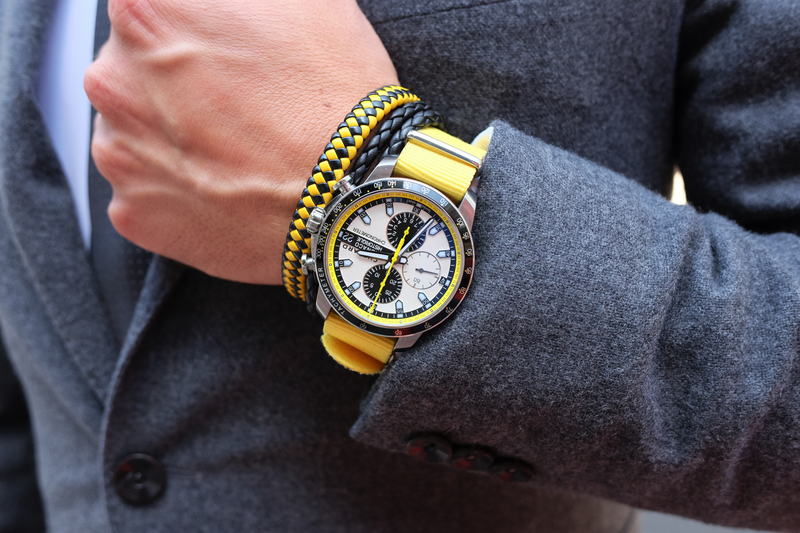 Matching the ring are yellow chronograph hands for seconds (central hand), 30-minutes (12 o’clock), and 12-hours (6 o’clock). A small seconds subdial sits at 9 o’clock, and there is a date aperture at 3 o’clock, which includes a “MONACO HISTORIQUE” plaque secured to the dial. Hours are marked by luminescent applied indexes. The hour, minute, and small seconds hands, along with the hour indexes, all feature a blackened treatment. The bezel has a fixed tachymeter scale printed on the black insert, as well as yellow accents. The case features alternating satin-brushed and polished surfaces and distinctive pump-pushers along with a black barenia leather strap with large holes. 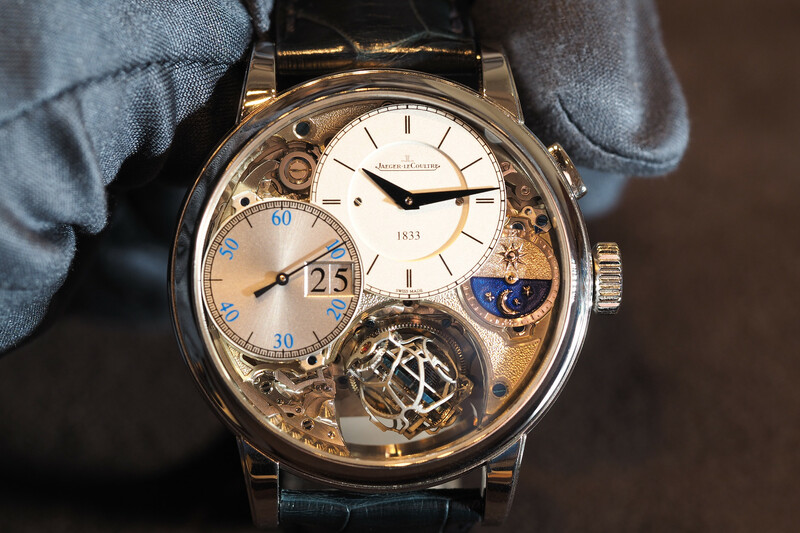 The caseback is stamped with the logo of the Monaco Automobile Club. Underneath the dial is an officially COSC certified automatic chronograph movement that runs at 4Hz (28,800 vph), has 25 jewels, and a 46-hour power reserve. Water-resistance is 100 meters thanks to gaskets on the front, rear, and the locking crown. The retail price with the black leather strap is $7,640 (Ref. 168570-3001). 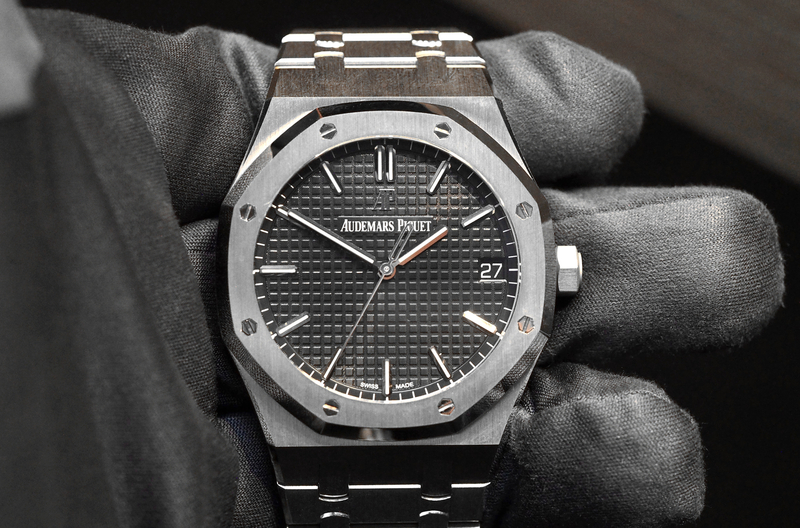 With a steel bracelet, the watch retails for $9,330 (Ref. 158570-3001).